Copyright © 2019	Matt Crosslin. The picture was one that I took while on a trip to Mumbai, India. We were in an area of the city with a large number of Hindu temples. 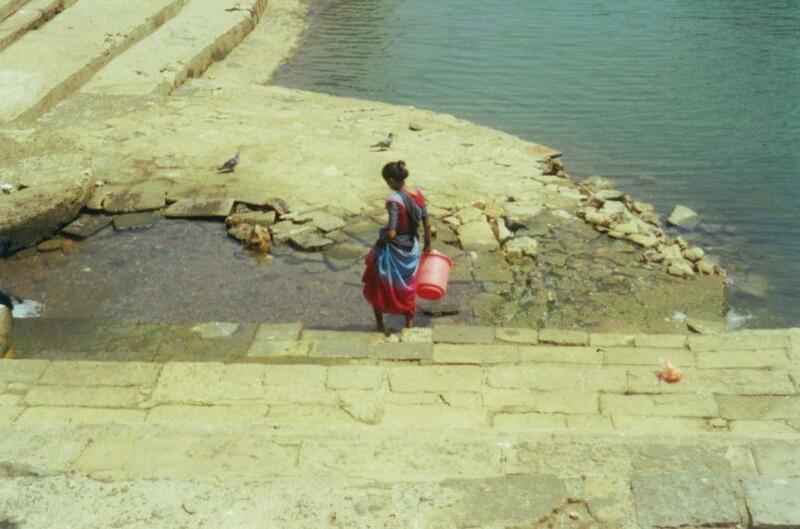 This spring or well at the northeast corner of Banganga Lank is considered to be a source of holy water to many. This is one of many moments that I wished I owned a professional camera. You can actually see this exact spot on Google Maps. Copyright © 2019 Matt Crosslin.